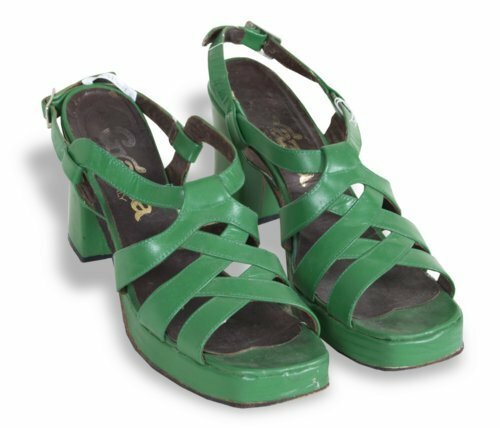 Pair of Italian green vinyl high-heeled shoes with open toes. The shoes have slingback straps with metal buckles, and high blocky heels. Worn by Lucinda Bray in Kansas during the 1970s.